Who are you & how would you describe your current lifestyle? 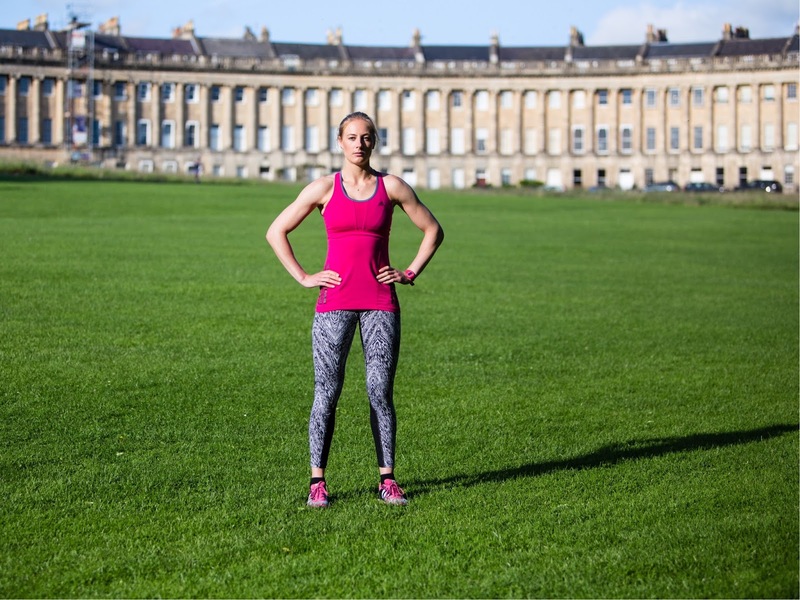 | I’m Kim, a full-time GB Skeleton athlete and Personal Trainer (@KimFitBath). I lead a very active lifestyle and my training is geared towards reaching the 2022 Beijing Winter Olympics. What type of exercise are you currently doing? | I do sprints, prowler, plyometrics, core, bike sprints, yoga, push track (when you sprint with a sled down a hill to replicate the ice start in skeleton) and weight training. Everything is very explosive as I try to get faster and stronger. How many times a week? | I train five times a week, 2-3 sessions a day. But I understand that this is in excess of what someone with a full-time job would be able to do. How long have you been doing it? | I have been doing skeleton for two years. Prior to that I was a long jumper for ten years. Being honest, have you been consistent? | Yes, the only time I stopped training to the same extent was after I graduated at the end of 2012/start 2013. I find having a big goal (the Olympics) is a huge motivator; I am also fortunate that training is my job. I’d advise anyone wanting to get started training to think carefully about their goals and set short, medium and long term goals. Are you getting the results you want – Yes or No? | Currently yes, but its not always been that way. Elite sport is very up and down and I have had my fair share of injuries and disappointments. How do you feel about your current level of fitness? | I am in the best shape of my life at the moment. That is because for the past eight weeks I have trained full-time and haven’t had to work too much. Before I had a full-time job so training was always coming second. What are you looking to achieve? Why? | I am looking to medal at the Beijing 2022 Winter Olympic Games. It has always been my dream to compete at an Olympics; it is the pinnacle of sport and so few people achieve it. I like to do things that only a few other people achieve. When are you looking to reach your goal by? | 2022. There are lots of smaller goals along the way to keep me motivated though! How important is it to you to achieve your goal(s)? | I have taken a break from my career as a Sport Scientist in order to pursue this goal. It is very important to me because I have and will continue to make a lot of sacrifices. Finally … What would you say to inspire others? | I would say to dream big then plan it and go and do it. Never settle for something that isn’t your dream; answer all the what ifs. I think Kim is possibly the most motivated and devoted person that I have featured on Fitness Bytes and I love her ‘dream big’ philosophy in life. It is so important to have goals to work towards whether they are aesthetic, strength or achievement based and I can think of a greater goal than winning Gold in Beijing! Go Kim! Want to get to know Kim a little more? Make sure you follow Kim’s progress by reading her blog and catching up with her on Instagram too! I hope you enjoyed this edition of ‘Fitness Bytes’ and if you’re interested in taking part drop me an email, I’d love to hear from you!